Your wedding is the most romantic day of your life. Valentine’s Day, anniversaries, and birthdays just don’t encompass the same life-changing excitement and romantic allure as a wedding. And, as an adult, you probably won’t wear an extravagant, gorgeous gown with lavish accessories on any other day! In short, your wedding is a unique opportunity to honor your love in an unabashedly romantic way. Nothing expresses love quite like lace. Elegant, backed by hundreds of years of tradition, and timelessly gorgeous, this classic bridal material provides a look of feminine grace. Our V7175 Alençon lace veil infuses any bridal wardrobe with classic elegance. Ornate beading weaves through a gorgeous pattern of regal flowers with breathtaking romance. The symbol of bridal beauty, this exquisite scalloped Alençon lace mantilla sweeps over your locks with Old World grace. A waltz-length veil featuring generous Alençon lace, V7175 evokes a mood of romantic beauty. Ideally, you should match V7175 with a lace gown. If you are wearing a dress made from another material but love the idea of a lace-trimmed veil, be sure to choose lace accessories! For example, we highly recommend pairing V7175 with its sister headpiece, style 6456. Fall in love with an elaborate, embroidered lace and pearl floral headpiece blooming with classic beauty. 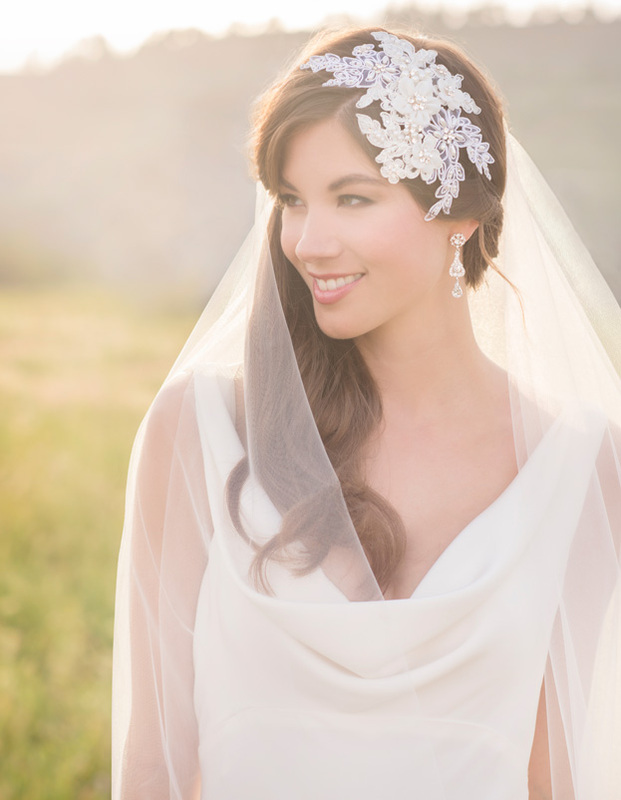 Attached to an easy-wear clip, this lovely headpiece wraps your wedding-day hair with sprawling bridal flowers and leaves to complement a lace gown and pearl accessories. Romantic brides will love the feminine grace of V7175. Even if you’re not into pink peonies and soft candlelight, however, this classically pretty veil perfectly complements a lace gown. It also works well for any season of wedding. Whether you’re getting married in a church or on the beach, you’ll look stunning. Love this design and want to see similar veils? 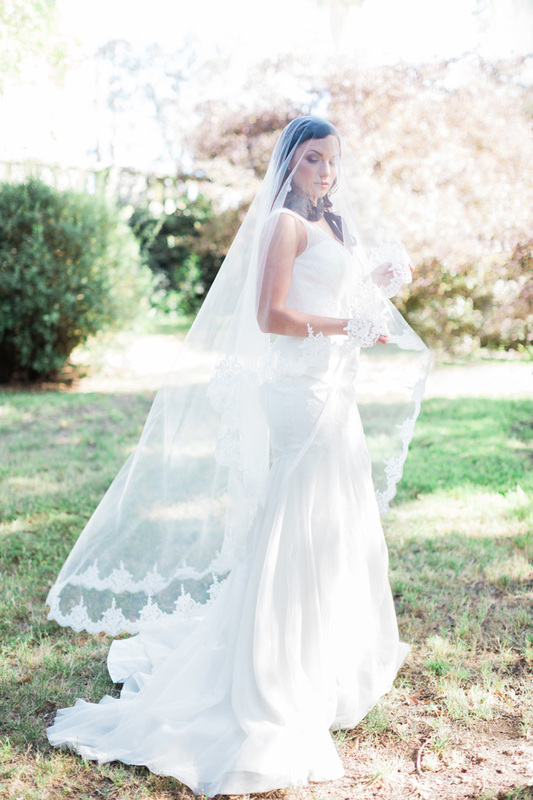 Check out the Lace Veils section on our website for more heart-fluttering styles!